Hide deals from seller "Ko's Yong-In Martial Arts"
Limit 1 per person. Valid toward classes. Full Value of Gift Certificate must be used in 1 visit. 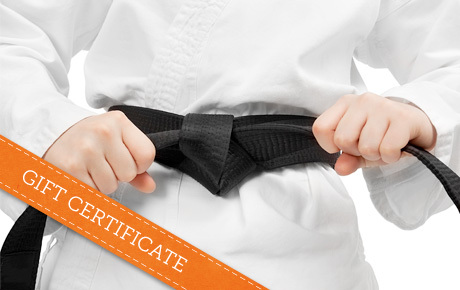 Become master of martial arts with 50% off a $60 Gift Certificate to Ko’s Yong-In Martial Arts in Bartlett. Train under the wing of martial arts veterans to master tae kwon do, hapkido, MMA and more. The three masters at Ko’s Yong-In Martial Arts have studied in their disciplines for more than 25 years each, and they want to impart their knowledge to a new generation of eager students. Their weapon training classes teach students to safely wield swords, bo staffs and nunchucks, while hapkido teaches students self-defense techniques. The positive and encouraging atmosphere is the perfect place to learn a new art form, or to delve deeper into your favorite. A martial arts studio in Bartlett that offers a variety of classes separated by age and experience level.